Wow. It was hard for me to pick just one! 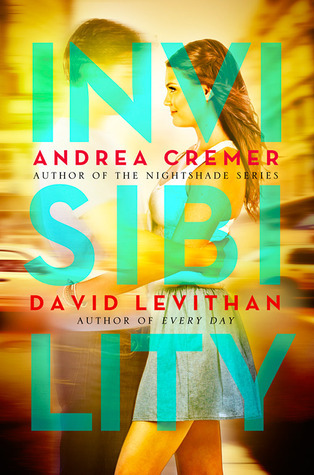 This week's featured book is Invisibility by Andrea Cremer and David Levithan. The cover is great and the synopsis is intriguing. Stephen has been invisible for practically his whole life — because of a curse his grandfather, a powerful cursecaster, bestowed on Stephen’s mother before Stephen was born. So when Elizabeth moves to Stephen’s NYC apartment building from Minnesota, no one is more surprised than he is that she can see him. A budding romance ensues, and when Stephen confides in Elizabeth about his predicament, the two of them decide to dive headfirst into the secret world of cursecasters and spellseekers to figure out a way to break the curse. But things don’t go as planned, especially when Stephen’s grandfather arrives in town, taking his anger out on everyone he sees. In the end, Elizabeth and Stephen must decide how big of a sacrifice they’re willing to make for Stephen to become visible — because the answer could mean the difference between life and death. At least for Elizabeth. Sounds great, non? Be sure to pop over next week to see what else we are ardently (yet patiently...sort of) waiting for! This one does sound great. I have never read anything by David Levithan but have never missed anything by Andrea Cremer. I'll be reading this one. My WoWs are Unremembered by Jessica Brody and Shadow of Freedom by David Weber. Happy reading! I just finished Every Day by Levithan last month and it was good. It has a very unique premise that I found interesting. You should check it out. 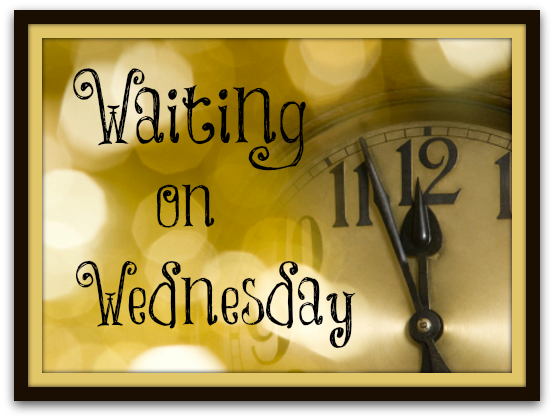 Just popped over to your blog and I love it! I'm with you on Unremembered. Sounds great! Thanks for stopping by! It sounds awesome! I've had my eye on this one for a while, too. Hope you enjoy it. Just stopped by your site and ummmmm....LOVED IT! Wow. Your design is amazing! I love that you chose Parallel, I have that one coming up for a WoW post soon. Thanks for stopping by! This book sounds so good! I mean, it's written by two amazing writers. Great pick! I love the cover.